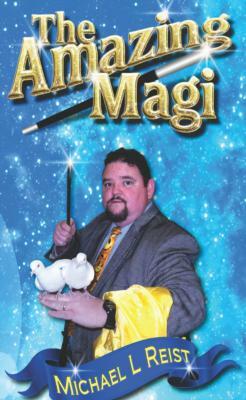 From New Orleans to San Antonio, from New York to Atlanta and beyond, The Amazing Magi has captivated audiences of young and old alike with his unique brand of Magic, Illusions, Sleight-of-Hand, Story-Telling, Balloon Twisting and Puppets. He has also performed on the Royal Caribbean Cruise Line. You are in for a real treat with The Amazing Magi. 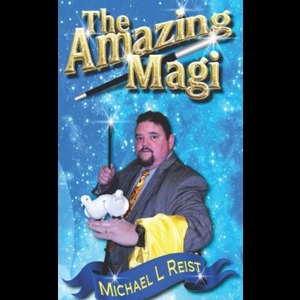 He specializes as a Family Performer with shows uniquely crafted to serve your needs whether it be that perfect birthday party for your child, a large illusion show for a mixed audience, a performance for your civic group, church group, or your school or library. He also has branded shows that deliver a message. He has specific Reading Shows for Schools and Libraries. He has Anti-Bully programs available for Schools, Churches and other audiences. 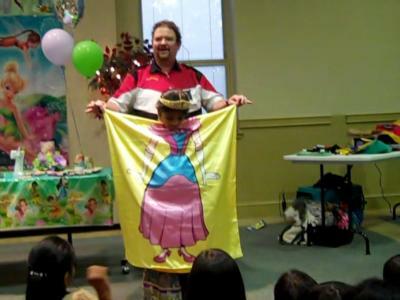 He has various Birthday Party packages available for children as well as entertaining shows for adults. Whatever your needs, you can never go wrong with The Amazing Magi. Call or email now to secure your booking! A very good choice for us, we appreciated the way he interacted with and related to the audience at our event. Please note The Amazing Magi will also travel to Allentown, Lehigh Valley, Catasauqua, Whitehall, Hellertown, Center Valley, Coplay, Neffs, Northampton, Bath, Easton, Palmer, Springtown, Coopersburg, Emmaus, Nazareth, Durham, Laurys Station, Limeport, Riegelsville, Cherryville, East Texas, Kintnersville, Orefield, Stockertown, Tatamy, Treichlers, Danielsville, Macungie, Richlandtown.